Mauritania’s authorities have joined leaders of several other Arab states in accusing Qatar of fueling regional instability. Mauritanian officials’ anti-Qatar animus has been evidenced not only in rhetoric but in some concrete actions including the closure of two Muslim Brotherhood-linked Islamic universities and a gradual shift in the direction of prohibiting the Muslim Brotherhood. 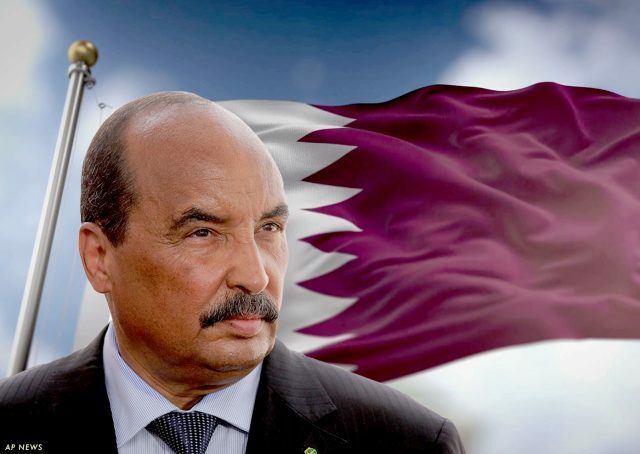 Perceptions of Qatari influence in Mauritania’s internal affairs have informed the country’s anti-Qatar stance in recent years. This has manifested itself in the shut-down of the University of Abdullah ibn Yasin and the Center for Training Islamic Scholars, with known links to the Muslim Brotherhood. Yet perhaps the event most illustrative of how Nouakchott’s Islamist crackdown has heavily influenced both its domestic and foreign policies is Mauritania’s siding with Saudi Arabia and the United Arab Emirates (UAE) against Doha in the Gulf Cooperation Council (GCC) crisis, which erupted in May/June 2017. One day after the Riyadh/Abu Dhabi-led bloc imposed a blockade on Qatar and severed diplomatic relations with Doha, Mauritania became the only internationally-recognized Arab government in the Maghreb to follow suit. The government’s concerns about Qatar’s meddling in Mauritania have grown against the backdrop of the threat posed by Mali-based extremist militias such as Ansar Dine, the Movement for Oneness and Jihad in West Africa (MOJWA), and al-Qaeda in the Islamic Maghreb (AQIM). They collectively seized control of roughly two-thirds of the Sahelian country in 2012. Extremist forces such as Jama’at Nusrat al-Islam wa’l-Muslimin (“Group for the Support of Islam and Muslims) continue to wield influence in Mali’s north despite losing much of the land that they once controlled to French-led military campaigns against such extremist groups. In June 2005, Mauritania’s struggle against extremism and terrorism began when AQIM’s predecessor group, Salafist Group for Preaching and Combat (GSPC), attacked the Lemgheity military camp in northern Mauritania, near the Algerian border, killing 17. In recent years, Mauritania has been one of the countries collaborating with Paris in French-backed regional initiatives aimed at countering terrorism, including the Sahel Group of Five (G5S—-a West African alliance that also includes Burkina Faso, Chad, Niger, and Mali). Notably, the George W. Bush administration grew Washington’s relationship with Mauritania largely within a counter-terrorism framework following the attacks of September 11, 2001. Concerns about global terrorist organizations exploiting conditions in the largely waterless Sahel—a region of Africa where extreme poverty is rampant, states are weak, corruption is widespread, and international borders are porous—prompted the U.S. to consider Mauritania a key partner in the struggle against extremist groups targeting the United States. The Saudis, too, are contributors to the G5S and are keenly interested in further developing bilateral ties with Mauritania in the counter-terrorism field. Three months ago, Saudi State Minister for African Affairs Ahmed Qattan announced in a donors meeting for the five-member Sahel group, held in Nouakchott, that the kingdom is donating EUR 100 million to support the counter-terrorism group. Although Qatar’s ties with such extremist forces in Mali remain a source of debate, the Gulf emirate has unquestionably maintained influence in Mali via relations fostered by Qatari humanitarian aid efforts. Moreover, these claims must be examined through the prism of each side of the Gulf crisis where the definition of aid may or may not be politicized. The narratives about Mauritania’s Muslim Brotherhood problem and Doha’s role in supporting the Islamist opposition are featured in the Emirati press. This type of “information warfare” helps to build and maintain support for UAE policy towards the Maghreb from their Arabic-reading public. Nonetheless, if even narratives about Qatar backing AQIM and other terrorist groups are subject to debate, it is important to note that after the jihadist forces seized control of large swathes of Malian land in 2012, they selectively permitted only Qatari aid to enter the territories. This fact further stoked suspicions of Doha’s alleged support for these non-state actors, even if Qatar’s privileged status in that part of Mali at that time did not constitute proof of Doha’s supporting any terror group in Mali. In any event, the Mauritanian government’s talking point, echoed by Doha’s adversaries in the Gulf, is that Qatar’s foreign policy led to the destabilization of Mali and the extremist groups’ takeover of Gao, Timbuktu, and other parts of northern Mali, which shares a 1,390-mile border with Mauritania, naturally subjecting Mauritania to grave dangers posed by extremists. The Mauritanian government’s perceptions of a “Qatari threat” to their country must also be understood within the context of severe internal economic, political, and social crises that have contributed to such alleged interference and affected leadership perceptions egged on by the Saudi-UAE-led bloc because of the Qatar crisis. In this respect, many internal issues that challenge Mauritania’s government to foster stability and economic development are largely attributable to a host of domestic factors, and finding a scapegoat (such as Qatar) is a common ploy adopted by many Arab governments for “externalizing” national crises. The epidemic of continued slavery as part of the economic and social landscape in Mauritania is a case in point. The epidemic of continued slavery as part of the economic and social landscape in Mauritania is a case in point. The issue has received the attention of the Qatari-owned network Al Jazeera. Its coverage of the issue heavily factors into the Mauritanian leaders’ support for the blockade of Qatar and the countries which have established that the network’s closure is one of 13 official demands for restoration of diplomatic and economic ties with Doha. Mauritania, in this regard, is much like other Arab states that saw Qatari media platforms’ coverage of human rights violations within its own country as an offense, resulting in significant tension plaguing bilateral affairs since Al Jazeera began its reporting on slavery in the Maghrebi country. These countries see Qatar as interfering in their internal affairs and view humanitarian aid as usually a cover for nefarious activity. This perception is very strong within the region and thus feeds into ongoing debates over Doha’s Maghreb policy. Another factor is the Mauritanian opposition. The National Rally for Reform and Development (RNPRD), which is affiliated with the Muslim Brotherhood, is the Maghrebi country’s dominant opposition group. The leader of RNPRD, commonly referred to as “Tewassoul,” is Mahmoud Ould al-Sidi. Under Sidi’s leadership, the RNPRD has gone to pains to distance itself from extremists. Yet the Mauritanian authorities see the Muslim Brotherhood, and its influence in Mauritania, as committed to dividing the country and harming Mauritanian society. Mauritanian officials accuse the RNPRD of receiving support from Doha, which naturally drives the government’s strong stance against Qatar and support for the Saudi-UAE-led bloc’s efforts to isolate the Arabian emirate. Mauritania’s president appears intent on continuing to confront the forces of political Islam within his country while supporting regional plans for eradicating it from the Arab world at large in coordination with other anti-Qatari forces such as those in Abu Dhabi, Cairo, and the secular-leaning Libyan administration in Tobruk. It is legitimate to ask if in the process of forcing domestic Islamists to operate on the sidelines of society and mainstream political arena, the Mauritanian government will risk radicalizing Islamists who are currently more moderate while also making the African country more of a target for extremists? The answer appears to be yes. Deep Islamic traditions in Mauritania combined with grave economic problems such as high unemployment might leave the Maghrebi country vulnerable to extremists who may exploit uncertainty in Mauritania regarding the presidential succession. Questions about political Islam have deeply divided Arab states and societies from each other and within themselves. Questions about political Islam have deeply divided Arab states and societies from each other and within themselves. The region is increasingly polarized between an anti-Islamist bloc that Abu Dhabi plays a key role in leading—with support from Egypt and Saudi Arabia, and the alliance between Qatar and Turkey—two states that have lent support to various Islamist factions in several Arab states. In contrast to their counterparts in other Maghrebi governments, Mauritanian officials have aligned with the UAE against the Muslim Brotherhood. Mauritania is on the UAE’s side of this struggle, in no small part due to Abu Dhabi’s support for Nouakchott’s Islamist crackdown, which is pivotal from a financial standpoint. The extent to which Mauritania’s Islamist opposition has any ties with extremist forces is debatable. Many opine that Nouakchott’s moves against domestic Islamists are more about countering democratic aspirations of the country’s citizenry to voice disagreement with Mauritania’s authorities. 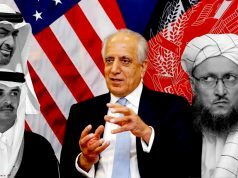 To be sure, framing the Islamist crackdown as being waged in the name of countering terrorism naturally serves to appeal to Western governments, namely the U.S. and France, which coordinate with Nouakchott in the fight against genuine terrorist organizations such as AQIM. In fact, the decision to sever relations with Qatar in 2017 led to Islamist oppositionists staging public demonstrations against the government’s move, accusing the leadership in Nouakchott of “selling out” Mauritania to Saudi and Emirati interests while expressing solidarity with Qatar while under blockade. Given current events in the region such as the unrest in Algeria and Sudan, questions arise as to what may come next in Mauritania. Will there be similar organic uprisings? How would tumult that jolts the status quo in Nouakchott play out in the grander geopolitical and ideological struggle between Qatar and the UAE? Doubtless, the Mauritanian government’s narrative about Doha stirring up unrest in the Maghrebi country would likely be used to garner greater support from the Saudi-UAE-led, counterrevolutionary bloc under the banner of countering the rise of extremism in the Sahel and greater Islamic world. As Mauritania’s crackdown on the Muslim Brotherhood continues, Doha will represent what the government sees as a foreign power intent on stoking tension between Mauritania’s society and government while spreading extremist thought in the country and others across the African/Islamic world. Much like Nouakchott’s narrative about Iran meddling in Mauritania’s internal affairs, the Mauritanian leadership’s official line on Qatar must also be understood in light of the Maghrebi country’s interests in maintaining strong ties with Riyadh. In addition to a host of Sunni Muslim countries in Africa, Mauritania has been a beneficiary of Saudi financial aid over the years. In addition to a host of Sunni Muslim countries in Africa, Mauritania has been a beneficiary of Saudi financial aid over the years. Without question, such economic factors contribute to Nouakchott’s close alignment with the kingdom on major diplomatic issues facing Riyadh, not only including the GCC crisis of 2017 but also the Saudi-Canadian spat and the killing of Jamal Khashoggi last year. Regarding Doha, given that Mauritania’s leadership has maintained an anti-Qatar animus for years, the decision to back the Riyadh-Abu Dhabi-led bloc against the emirate only served to enhance Mauritania’s strong relationship with these two Gulf capitals, along with Cairo too, and not at the expense of any lost trust or warmth in Nouakchott-Doha relations. 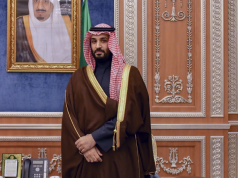 By continuing to join in efforts aimed at isolating Qatar and Iran, while issuing harsh rhetoric about political Islam and the Muslim Brotherhood movement, Mauritania’s head of state has established his country as one of Saudi Arabia and the UAE’s closest African allies. Like the leadership in Abu Dhabi and Cairo, Mauritania’s authorities support the Egypt-based al-Azhar Mosque as the religious institution most favored as a bastion of “tolerance” over extremist currents in the Middle East’s political and religious landscapes. In contrast to other Maghrebi countries that demonstrated their independence from the Riyadh-Abu Dhabi bloc amid the GCC crisis, Mauritania maintains high stakes in this competition between Qatar and the UAE for influence over the Arab world, as Nouakchott favors Abu Dhabi and its positions on issues regarding terrorism, extremism, and religion. At the same time, while Saudi Arabia’s relations with a host of Arab League members have suffered due to diverse reasons in recent years, the kingdom sees Mauritania as one of its closest partners in the Arab/Islamic world. Observing the roles played by the Mauritanian leaders’ allies—Saudi Arabia and the UAE—on one hand and the Muslim Brotherhood-affiliated opposition on the other after the Maghrebi country’s change of government will be key. Frictions between the military and Islamist groups in Mauritania calling for reform risk fueling a national crisis. The opposition warned that Mauritania’s stability “will suffer if the next president again comes directly from the army ranks”—a warning signal of unrest that could result from a bid by Ould Ghazouani, a former general who is closely aligned with the current president. Ghazouani served as Mauritania’s defense minister until he vacated that post earlier this month to announce his candidacy. Ghazouani served as Mauritania’s defense minister until he vacated that post earlier this month to announce his candidacy. Yahya Ould Haddine, a former prime minister, replaced him as the country’s defense minister. Ghazouani will run against Sidi Mohamed Ould Boubacar, who served as Mauritania’s prime minister from 1992 to 1996 and from 2005 to 2007, and who will run as an “independent candidate” with the RNPRD’s support. Regardless of the direction of the election held later this year and the regime’s Islamist crackdown, Mauritania will continue grappling with the regional threat posed by extremist forces, as well as numerous unresolved domestic problems that may make the country a target for terrorists in the future, the government is highly sensitive to matters pertaining to terrorism. Like all Arab states, Mauritania is faced with questions about how to best confront ideologies that are extremist and capable of spreading among marginalized and impoverished individuals in all societies.